This epic 13-night tour of China offers the perfect introduction to this beautiful, diverse country. Picture walking the Great Wall, seeing the Terracotta Warriors, cycling through unspoilt countryside and exploring Hong Kong. 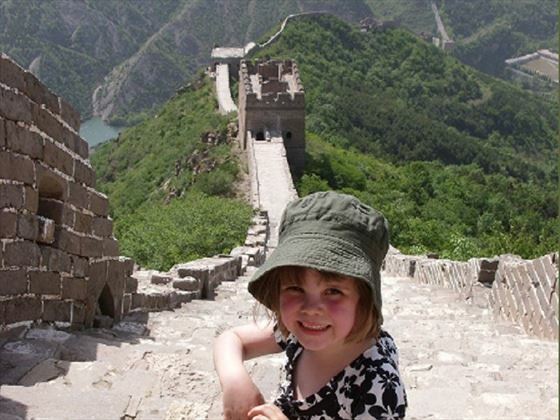 You’ll experience all this and more on our family holiday to China. 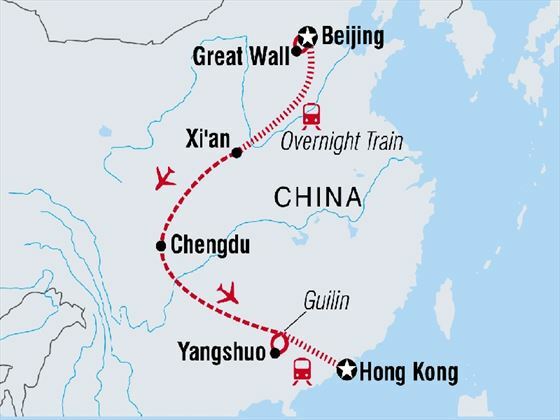 The trip starts in the modern capital, Beijing, and heads onwards to Xi’an and Chengdu and the rural retreat of Yangshuo, before ending in Hong Kong (INT - CBFA). 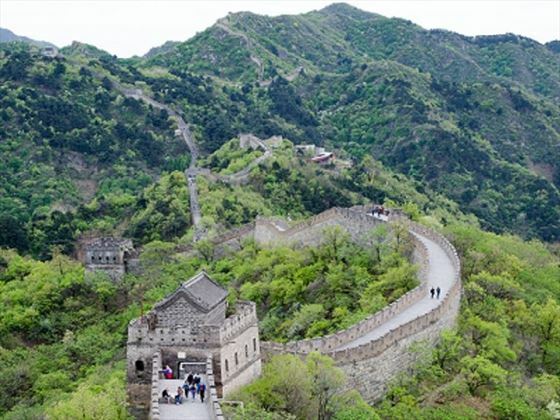 Walk along one of the best-preserved sections of China’s Great Wall. Visit the ornate, UNESCO-listed Forbidden City and Tiananmen Square in Beijing. Travel alongside locals on an overnight sleeper train. Tour historic Xi’an and see its incredible army of Terracotta Warriors. 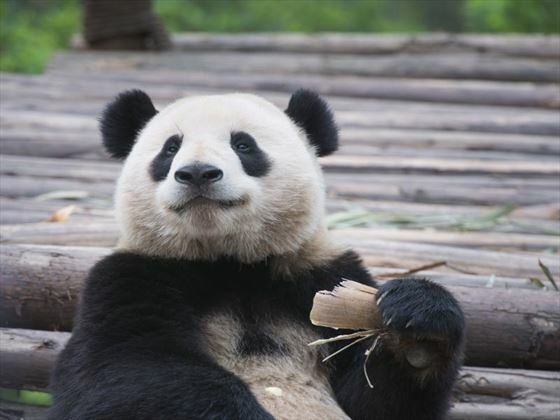 See rare Red and Giant pandas at the Panda Research Centre in Chengdu. Relax and cycle in the stunning countryside resort town of Yangshuo. Learn how to cook delicious dishes in a Chinese cooking class. 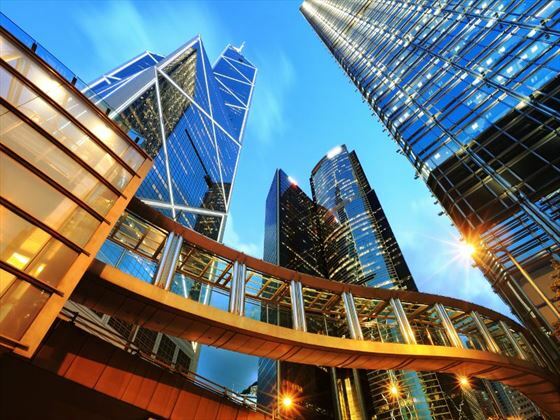 Take a bullet train to explore the classy metropolis, Hong Kong. Welcome to China! Your trip begins in the country’s vibrant capital, Beijing. There will be a 6pm welcome meeting at the hotel, but if you arrive early, take the chance to explore the city. Experience the blend of ancient history and modernity with a stroll around the busy streets and enjoy a real Chinese meal to round off the day. Today you’ll visit China’s most famous attraction, the Great Wall. This UNESCO World Heritage Site is over 21,000 kilometres long and was built in sections over hundreds of years, serving as defensive walls. 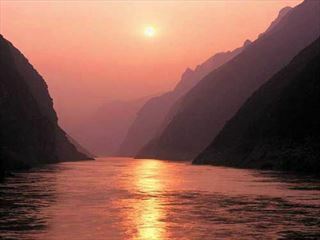 You’ll visit the Mutianyu section, which is known as the best preserved and is over 1,500 years old. Notice the grand, seven-metre-high Ming Dynasty guard towers, there are 22 in this stretch of the Great Wall. Take the opportunity to walk along the wall, taking in the surrounding woodland and countryside views. The walk will last up to three hours, so wear comfortable shoes and bring a camera and water. There are plenty of steps to climb, so if you’d prefer, you can pay to take the cable car while visiting the Great Wall. Return to Beijing for a traditional dinner and enjoy a free evening. Delve into the capital city today, starting with a trip by public transport to the infamous Tiananmen Square. As the world’s biggest square, it can hold one million people and is best known for its bloody student protests in 1989. Visit the UNESCO-listed Forbidden City, which lies next to the square and was home to Chinese Emperors. The UNESCO-listed site is the largest palace complex in the world and features a maze of impressive buildings. Look out for dragon, phoenix and yin and yang themed decorations. 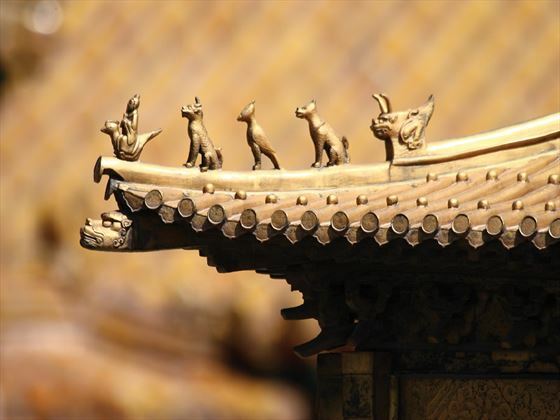 Optional activities for the rest of the day include taking a bike tour of the city and visiting Lama Temple. In the evening, you’ll be treated to a captivating Beijing acrobatic show. 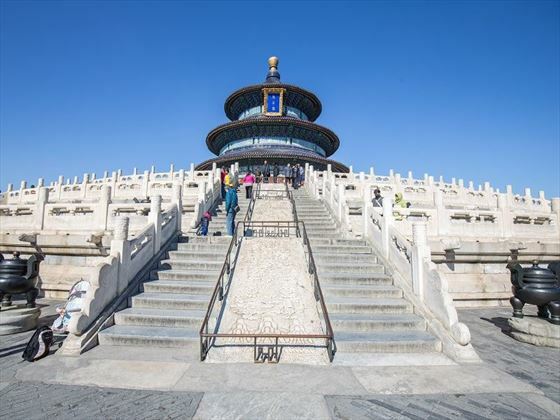 Spend the morning at the Temple of Heaven Park, an oasis of greenery in Beijing. Enjoy the Chinese architecture and wander through the grounds, where locals practise Tai Chi, water calligraphy, fan dancing and fly kites. Stop to freshen up at the hotel before you head to the train station to catch the overnight sleeper train to Xi’an. The journey takes around 12 hours and you’ll travel alongside Chinese passengers. Soft sleeper train compartments sleep four in bunk beds, with bedding provided and luggage storage. There are basic bathroom facilities, but bring your own wet wipes and toilet roll, as well as snacks, although there is usually a dining carriage on board. Be prepared that you may have to share you cabin with others outside your group. Arrive in Xi’an at around 9.30am and go to the hotel to drop off your bags and freshen up. Then you’ll head out on a city walking tour. Discover the history of Xi’an, which dates back 6,000 years and was once a key stop on the Silk Road, as well as the imperial capital of 11 dynasties. You’ll also visit a charity, Huling, which supports vulnerable members of the local community. Walk the grid-like streets of the old town and historic Muslim Quarter and take a two-hour bike ride along the city walls to experience Xi’an from another perspective. If you prefer not to cycle, you can pay for a golf cart to take you along the walls intead. 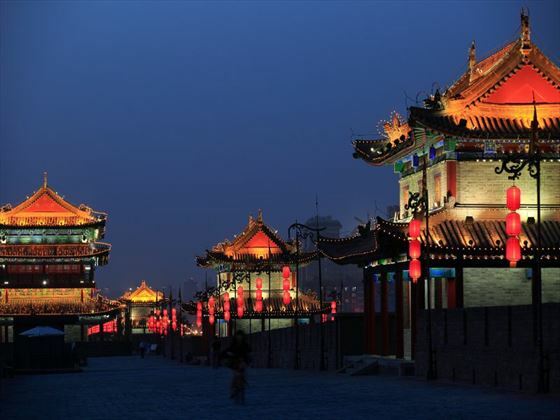 Head out for a night tour to see the Bell and Drum Towers illuminated and enjoy a tasty dumpling dinner. 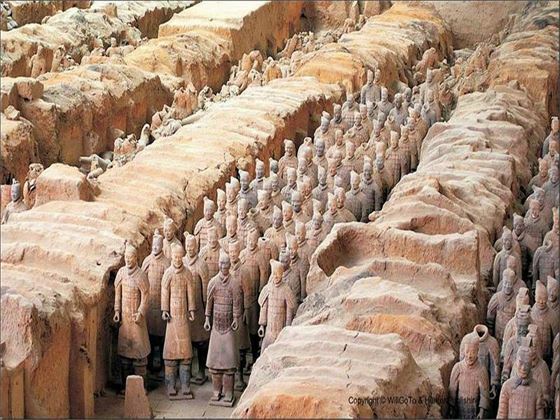 Today you’ll get to see Xi’an’s famous Terracotta Warriors, which lie 90-minutes away by bus. These life-sized statues of Emperor Qin Shi Huang’s army lay buried for over 2,000 years before they were discovered, guarding the Emperor’s tomb, in 1974. An estimated 8,000 soldiers and 130 chariots with horses are spread across three huge pits. Take in this mesmerising site and learn more in the museum, which has a collection of artefacts from the original excavations. Take a 90-minute flight to Chengdu this morning, which is the capital of China’s Sichuan province. The city is known for its hot, spicy dishes and the endangered pandas that live in its nearby mountains. Today you’ll tour the old town and Tibetan Quarter of Chengdu on a two-hour walking tour and visit Tianfu Square, which boasts a giant statue of Chairman Mao. 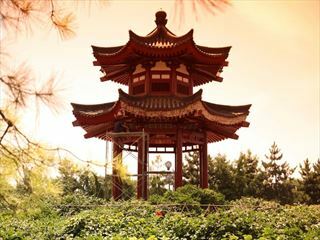 Enjoy some free time in one of the city’s most scenic parks, Renmin, a favourite with locals. Visit traditional Chinese tea houses and watch people exercise, relax and play sports. End the day with an authentic hot pot dinner, where you’ll get to choose and cook your own ingredients. Visit the Panda Research Centre this morning, which is home to both Giant and Red Pandas. You’ll learn about these rare animals, as well as the centre’s vital conservation work. If you’re lucky you’ll get to see the pandas when they’re active, playing, eating bamboo and climbing trees. You’ll have three hours to spend at the centre with these incredible animals. If you visit between July and September, there’s even a chance of seeing adorable new-born pandas. Today you’ll fly to Guilin and transfer to Yangshuo in Guangxi province, a total journey of four hours. 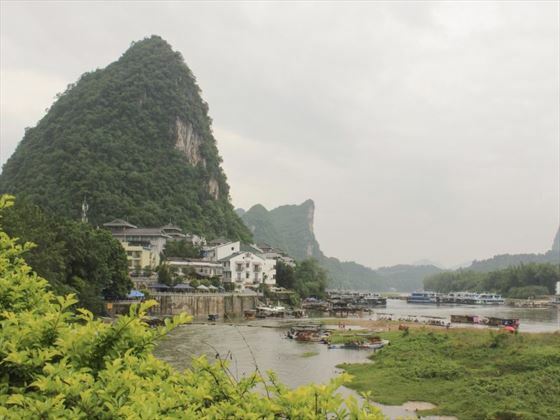 This tranquil resort town is known for its towering karst mountains, hiking trails, boat cruises and natural beauty. Soak in the peaceful surroundings on an afternoon walking tour of the town, which lasts about 90 minutes, and then spend the rest of the day as you please. Enjoy a leisurely start to the day and after breakfast, try a Tai Chi or Kung Fu class with a qualified teacher. After lunch, you’ll visit a nearby farmer’s market in preparation for the afternoon’s activity, a cooking class. An experienced chef will teach you the techniques and skills to make regional dishes, which you’ll feast on for dinner. You can take this new-found knowledge back home and cook authentic Chinese meals for your loved ones. Get out into nature today with a bike tour through the idyllic Chinese countryside. Cycle through rural villages and catch a glimpse of local life before lunch at a farmer’s restaurant. You’ll be transferred back to your hotel to spend the rest of the day relaxing. All bikes and helmets for adults and children are provided and the ride lasts from 8am until lunchtime. There will also be a support vehicle for those who don’t want to ride the whole way. Rise early and head to the train station, where you’ll board an exciting bullet train towards Hong Kong. You’ll reach speeds of up to 300 kilometres per hour and change at Shenzhen, arriving in Hong Kong around 6pm. Spend the evening settling in, or if you have the energy, take in the spectacular laser show in Victoria Harbour. Explore this modern metropolis on a morning orientation walk with your leader, then continue independently. Stroll around the harbour, which has views stretching over the island-studded bay or get caught up in the bustling downtown. Take the tram to Victoria Peak for panoramic views of the city and head out on the Star Ferry to watch the evening laser show from the water. You can also hike one of the surrounding trails, such as the Dragon’s Back, or visit the Hong Kong Science Museum. There are no activities planned for the day and you’re free to leave when you like. If you have some time before your flight, do some shopping or more sightseeing in the city. 12 nights in a hotel and one night on an overnight sleeper train. Transport: bus, taxi, train, internal flights. 12 breakfasts, one lunch and four dinners. Activities: Great Wall Mutianyu, Tiananmen Square and Forbidden City and Temple of Heaven Park in Beijing. Muslim Quarter walking tour, Huiling visit, City Wall cycling and Terracotta Warriors in Xi’an. Chengdu walking tour and Giant Panda Breeding Research Base. Yangshuo walking tour, cooking school and market tour, Tai Chi/Kung Fu class and bike rental with local guide. Hong Kong orientation walk. Amazing savings Book your holiday by 3 May 19 and receive up to $440 discount. Travel before 15 Dec 19. An 11-day escorted tour visiting Peking, Xian,Guilin, Suzhou and Shanghai. 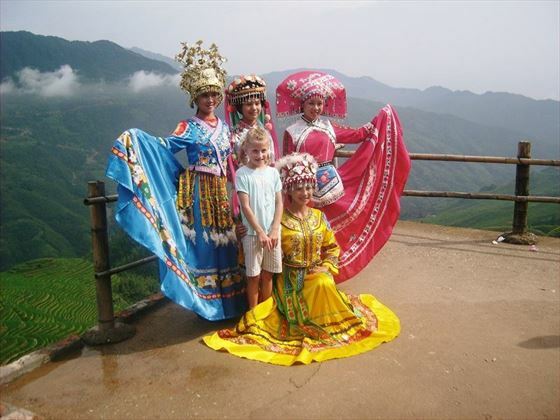 The Magnificent China tour is a fantastic introduction to the highlights of this extraordinary country. 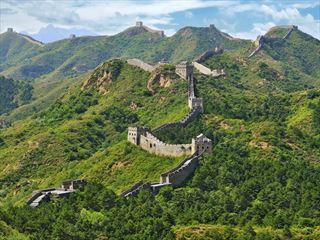 A fantastic 12-night small escorted tour, taking you to some of China's most fascinating and impressive attractions: The Great Wall, the Terracotta Warriors, the Forbidden City, and even the birthplace of Kung Fu. Starting in Shanghai and ending in Beijing, this is the ideal tour for adventurous souls.